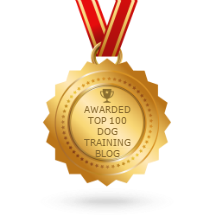 A good tip to keep you on track with your dog training, is to regularly ask yourself “Is my behaviour impressing my dog?” This is not only in the moment, but also an accumulative concept. How your dog feels about you is directly related to how he will respond to you. Your body language, voice, energy and emotion in every situation is the first line of feedback and is how your dog forms an overall opinion of you. Just because you are shouting at him or bossing them around right now certainly won’t tip the scales in your favour if you’ve ALREADY been sending counterproductive messages. Here’s a great example – let’s say you have a friend who is always talking in a baby voice, complimenting you, is easily bribed, lets you off the hook at the drop of a hat, is always overly eager to see you and please you, needs your approval, pays for everything, gives you a neck rub whenever you ask…(you get the picture) then randomly gets angry at you or gives orders? Does it automatically change your perception of them into thinking they have suddenly become powerful and worthy of your respect? Not a hope! I see many clients who are doing this with their dogs (either in their dog training or just in their day to day living) and are completely unaware that their dogs see them this way. When they are shown how to look at it from a dog psychology angle however, it becomes very obvious why their dogs have learnt to ignore them and almost ‘shut down’ sometimes. The owner has become so unpredictable (unstable) in their own behaviour that the dog understandably decides to think for himself and ignore the messages entirely. Dogs are commonly labelled as “untrainable” or “dumb” just because they have no motivation to follow what is in their mind, an unstable or confused pack leader. You simply can’t get away with pandering to or trying to please your dogs or living with no rules and on even terms most of the time and then suddenly discipline them or ask them to defer a decision to you out of the blue. Not only it is unfair but it just doesn’t work. Sure, it might give you temporary results due to the shock factor, but long term, it sets you up for failure. Most commonly known as passive-aggressive behaviour, psychologists have been preaching the downfalls for years. 2. Commit to the task yourself – don’t give up or let them off the hook. Getting emotional (angry, aggressive, pleading, desperation, guilt etc) comes across as “I can’t even control myself” or “I’m stressed about this situation!” so you can’t expect them to follow your lead. Think about it. It is so important to follow through! So many clients I see will say (for eg) “come” and when the dog doesn’t come, they say “oh, that’s because (insert excuse here) – he usually does” They are unaware that by allowing the dog to have selective listening, the dog is actually being taught that it’s ok to ignore the come command and that requests are optional. Be choosey what you ask for, you are better off not asking at all if you know you aren’t able or ready to follow through or you don’t know how. Educate and empower yourself! The funny thing is, the stricter you are with compliance, the more freedom your dogs will ultimately have because you will trust each other more. Good chance it could even save their life! If you feel you need help with your dog or puppy training, please give us a call on 1300 306 887.